Hours : Tues. – Sat. 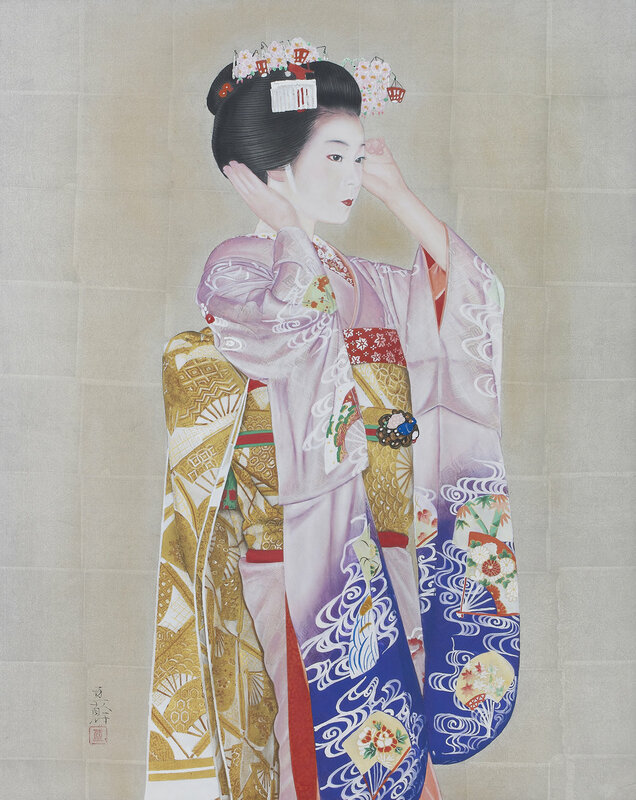 11 a.m. – 6 p.m.
Alongside works reveling in the beauty of young blossoms marking the coming of spring, Sato Sakura invites you to experience the breadth of contemporary Japanese Nihonga portraiture. Japanese Nihonga portrait and figure paintings - specifically those featuring beautiful women, called ‘Bijin-ga’ - represent thousands of years of rich artistic tradition. Not limited by the deceptive simplicity of outlines, minimal shading, and a delicate colour palate that are the hallmark of Japanese Nihonga, these paintings are able to transport the viewer to other places and times. From the enduring practice of crafting scenes that convey the distinguished beauty of Japanese costume and elegant female forms, changing seasons, traditional dance, and even hidden allusions to tales from antiquity, the works on display during this exhibition are superior examples of the capacity for depth and variety of expression in contemporary Nihonga paintings.